So long FlexiCadastre, hello Landfolio for Natural Resources! We are proud to announce that we are changing the product name of FlexiCadastre to Landfolio software. In September of last year, Trimble acquired Spatial Dimension, enabling us to ramp up our global presence and solution offerings, while continuing to focus on excellence. As a company, Spatial Dimension has worked tirelessly for more than a decade to ensure that our customers across the globe can manage compliance on their critical land-related assets using FlexiCadastre, and we continue to do the same under the Trimble brand. 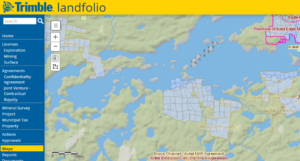 The name change of FlexiCadastre to Landfolio for natural resource management represents a product identity that more closely reflects our complete land solution offering while simultaneously providing room for future product functionality growth and additional synergies among existing Trimble solutions. While you’ll notice a new logo and product name in our materials, rest assured, everything else remains unchanged. The core underlying technology of Landfolio for natural resources will continue to be the FlexiCadastre platform you have come to know. Your key contacts will also remain the same. We’d like to take this opportunity to thank you for your continued business and support. Please visit us online at our new website https://landadmin.trimble.com and should you have questions regarding this name change, please feel free to contact us. We look forward to continuing to work together with you, and trust that you are as excited as we are as we continue to grow and better serve the industry.